The adage, “Work smarter, not harder,” is so ubiquitous in professional development materials that it now seems nothing more than a cliché. However, all clichés are rooted in truth, and it turns out this one can do as much for your popularity as it can for your productivity. You see them in every field: people who move gracefully through their tasks, ticking every box without drama or panic. They aren’t only doing all the things; they seem to be doing the right things. Regardless of whether they’re working behind a reception desk or making their way through an international tour, just watching them work makes us calm. Yes, they impress us, but they also make us, dare we say, happy. We live in a complicated, crazy-making world, my friends. Being around people who know how to navigate that world and have their stuff together brings us a sense of security and optimism. When we see people who know where they are going and how they are going to get there, we suddenly feel as if everything is going to be okay. Who doesn’t want more of that? 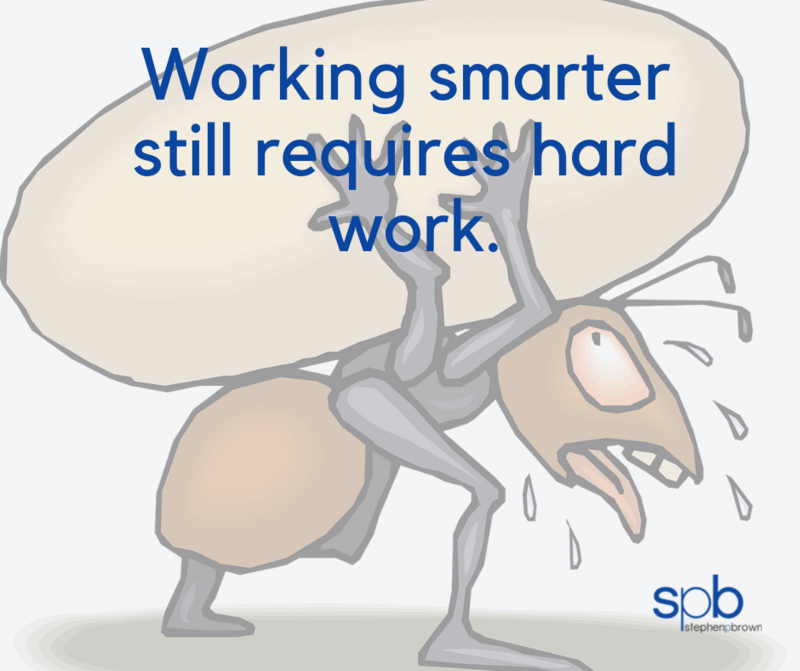 Working smart doesn’t mean hardly working. It means working hard on the right things – the high-leverage actions that give the most bang for your buck. To decide which tasks move you most quickly towards your goal, you obviously have to have a goal in mind. A clearly defined target makes it much easier to say yes to the right things and no to things that miss the mark. The question is no longer, is this a good opportunity? (let’s be honest, as a professional musician, any performance opportunity can seem like a good opportunity), but instead, does this opportunity get me closer to where I’m headed? You can’t do everything. A large part of working smart is learning to say no. If it doesn’t relate to the goal, no matter how lovely it is, it’s off the table. Once you’ve got a goal, look for high-leverage actions. These are the things that check several boxes at once. If there’s a non-negotiable task you have to do, look for ways to do it that bring a secondary benefit. For example, if you have to hang posters to promote a performance, use that opportunity to introduce yourself to potential venues in person. Clearly, killing five birds with one stone is efficient. However, it’s only working smart if all of those outcomes get you closer to your ultimate goal. It’s better to do something that delivers one goal-related outcome than something that delivers five results, none of which are moving you further down the path. Figuring out your goal and determining which actions will get you there fastest requires planning. This is the “work” part of working smarter. Before things can run smoothly down the track, you have to build the track. However, a little preplanning goes a long way. Too much preplanning goes nowhere. Don’t get lured into the idea that you have to know everything to make something happen. Yes, you need to know where to start, but then, you need to make something happen. You can figure out what to fix as you go along. In the business world, this is called frequent iteration. Basically, it means you take action as quickly as possible, examine the results, adjust course if necessary, and immediately take another action. As classical musicians, we tend to be perfectionists. We want to get it right the first time. But the absolute best way to learn to do something is to do it. Richard Branson, founder of Virgin Records (and a slew of other businesses), knew nothing about airlines when he founded Virgin Air. He was stuck in an airport with a crowd of people who all needed to get home. He chartered a plane and wandered the terminal hocking tickets to anyone who wanted a ride. Thus Virgin Air was born. He had no experience, but he was comfortable with that – it’s the reason he named his company Virgin, after all. So, set a goal. Look for actions that move you quickly towards that target, and make a little plan. Then try, fail, learn. Again and again. Soon you will be one of those calm, collected and successful people we all want to be around. This is part of our series on the characteristics of attractive people. If you would like to hear the live discussion about this characteristic, head on over to ClassicJabber.com now. 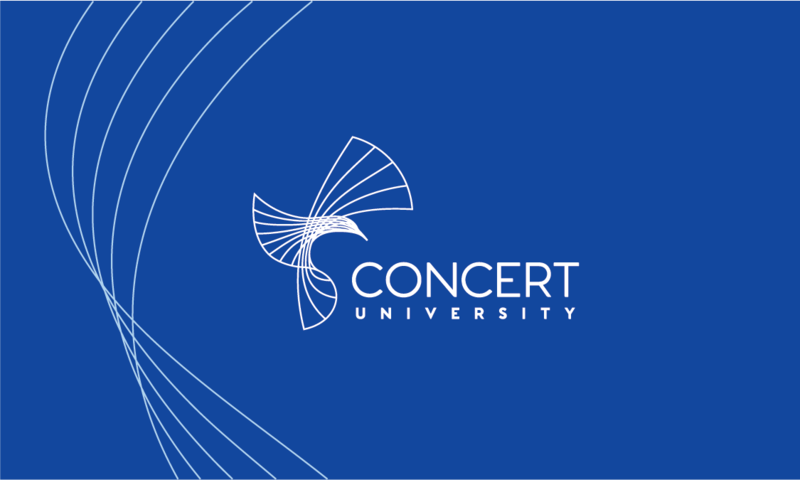 If you are ready to learn more about how to build a profitable, fulfilling career as a performing classical musician, check out Concert University, and the free webinar that outlines 5 strategies for success. Nearly everywhere we turn, sensitivity seems to be a liability. In truth, it’s a powerful asset. Sensitivity is merely the capacity to respond to stimulation, which is essentially the opposite of numbness. Being numb is a death sentence for an artist. To speak the language of emotion, music, we obviously have to be able to feel emotion. This is inner sensitivity. Outer sensitivity arises from the same place and is an awareness of the needs and emotions of others. Every good musician has to be sensitive to the needs of the people around him – not only other musicians but also the audience. The most important person in any musical group is the audience. Without them, you’re just practicing! So what does it mean to be sensitive to the needs and emotions of others, and how can we do it if we don’t know what their needs are? We’ve all been around people who assume that everyone believes exactly as they do. Perhaps it’s a stranger in the grocery store line who makes an off-hand comment about the cover of a magazine, or a waiter who makes a political joke that’s only funny to people on his side of the aisle. Assuming that the people around you are on the same page you’re on is deeply insensitive. 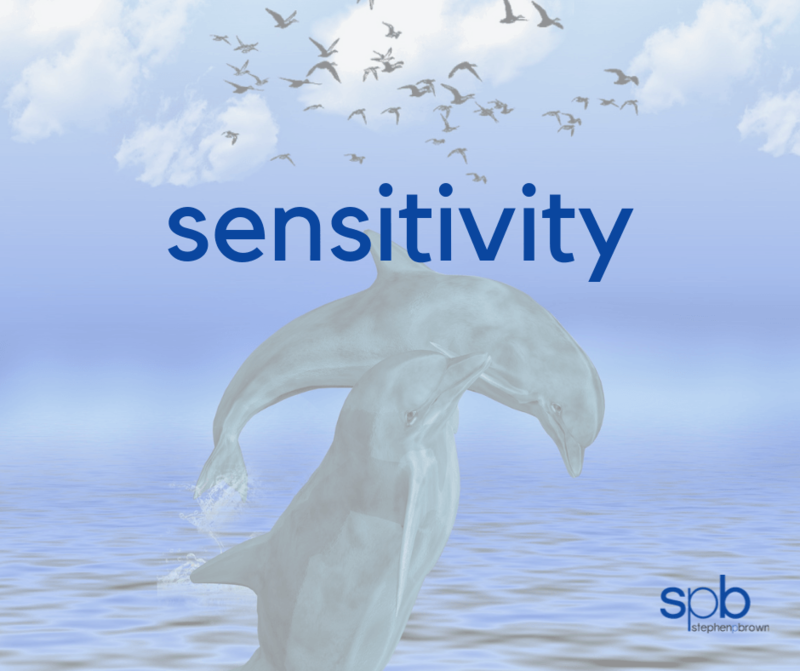 In fact, sensitivity requires realizing that not only are people not on the same page, but they may not be reading out of the same book. Sensitivity requires curiosity and a certain amount of vulnerability. You have to accept and expect that other people think differently than you do. You don’t have to agree with them, but you do have to respect their absolute right to believe as they do. As a conductor, 80% of my job is psychology. Getting the best performance out of a group of musicians involves understanding that every single player has things going on in her life that I know nothing about. Maybe her car broke down on the way in, or she just got engaged, or perhaps divorced. There’s no way for me to know the specifics, but drawing out the best possible performance demands that I be sensitive to not knowing. In short, I can’t assume I have the full picture. For example, if there’s a problem with a player – maybe he’s not paying attention to cues, or seems to be in a consistently different place than everyone else – a conductor can respond in one of two ways. First, he can call out the player. “Hey, you need to be watching for direction. Keep up.” This response assumes that the conductor knows the problem and has the solution. It leaves no room for a different answer. The second choice is to get curious. “Can you tell me what’s going on here?” This simple question opens up a host of possibilities. Perhaps the player can’t see the cues. Maybe he has a completely different understanding of how the piece should be performed. Maybe he’s just trying to be a team player and has shown up to play even though he’s shaky with fever. Being sensitive means being open to the possibility that your understanding of a person or situation may not be the right one or the only right one. This kind of sensitivity is very attractive. 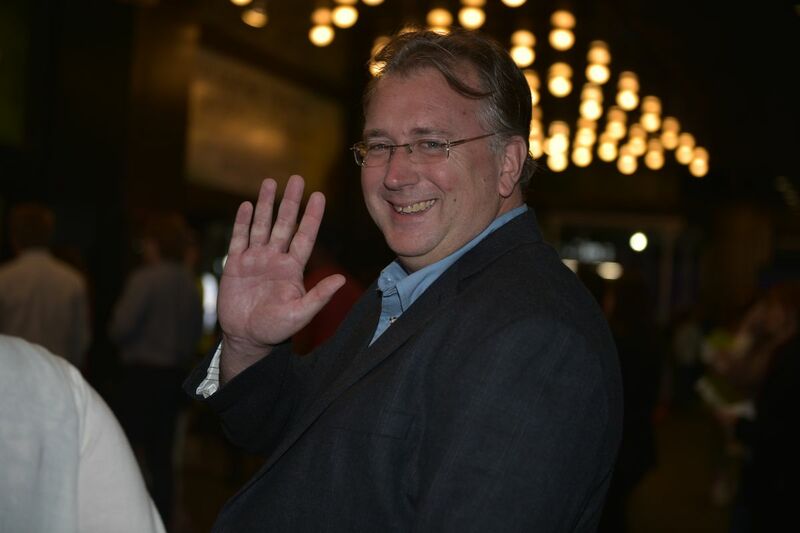 It’s how we attract loyal friends, loyal colleagues, and loyal audiences. It’s a paradox. Nobody likes a know-it-all, but we find wise people very attractive. What’s the difference? How can we thread that needle – cultivating and displaying true wisdom while avoiding arrogance? There’s an old saying: Knowledge is knowing a tomato is a fruit. 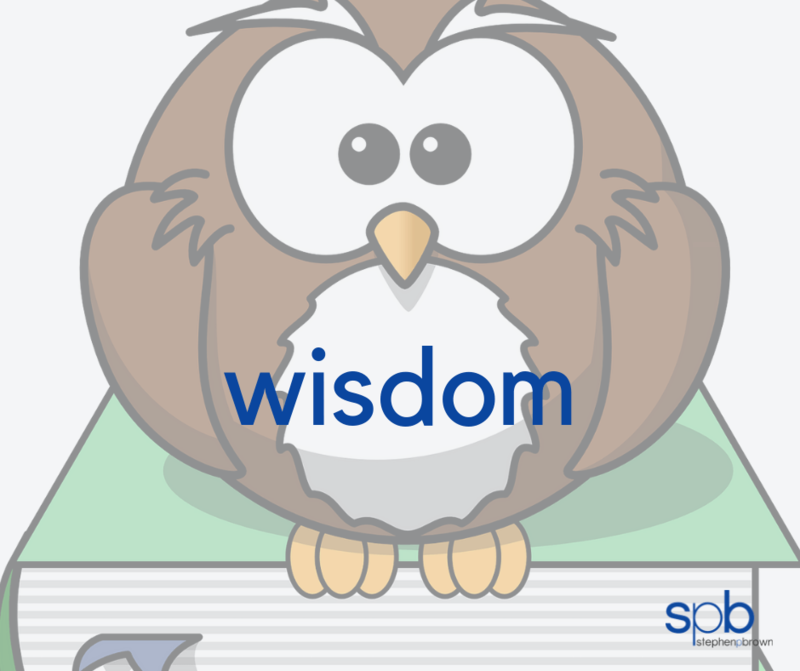 Wisdom is not putting it in a fruit salad. Wisdom relies not only on knowledge but also on experience. It’s based on a foundational understanding of how the world operates – an understanding that surpasses a basic grasp of the necessary facts. Very often, that insight is borne from walking the coals, facing adversity, and living to tell the tale. A wise person makes decisions based on insight and good judgment, not on whims. When we meet someone like this, we intuitively feel that they have access to more foundational truths than we do. As they say, experience is the best teacher, but the tuition is costly. It’s no wonder that we are attracted to people who seem to have paid that tuition and may be able to share what they’ve learned and spare us the trouble. Generally, the wisest people are also the humblest. They understand their place as part of a whole. As ensemble musicians, they aren’t show-offs – not because they lack the skills, but because they recognize that demanding the spotlight damages the performance. They know when they are playing a leading role and when they are in a supporting role. For example, a wise drummer understands that sometimes all that is required is to tap the edge of the snare. He may be a virtuosic player, but wisdom dictates that he does what is right for the piece, not what is most impressive. He knows that there are no small roles. In financial matters, a wise person recognizes that money is merely a tool for living your best life. It’s helpful, but it isn’t the measuring stick for success. Much more important is the impact you have on the people around you. So how do we cultivate wisdom? The fastest and easiest way to grow in wisdom is to invest in a guide or a mentor. Look for someone who has been there, done that, and has a boatload of t-shirts to show for the experience. Read. The world is full of wisdom literature. From religious texts to modern masterpieces, there is no shortage of wisdom out there for the discovering. Some recommendations: John Acuff, Steven Pressfield, Michael Hyatt. Practice discernment. Obviously, not all advice is created equal, and not everything you read is true. So how do you know what to trust? Look for people whose messages resonate with you – people you feel naturally attracted to. Remember, you can take what is useful from any message and leave the rest. Becoming wise is a lifelong endeavor. It isn’t something you can knock out with a month in a practice room or library. But the good news is, as long as you view every experience as an opportunity to grow wisdom, you can never lose ground. 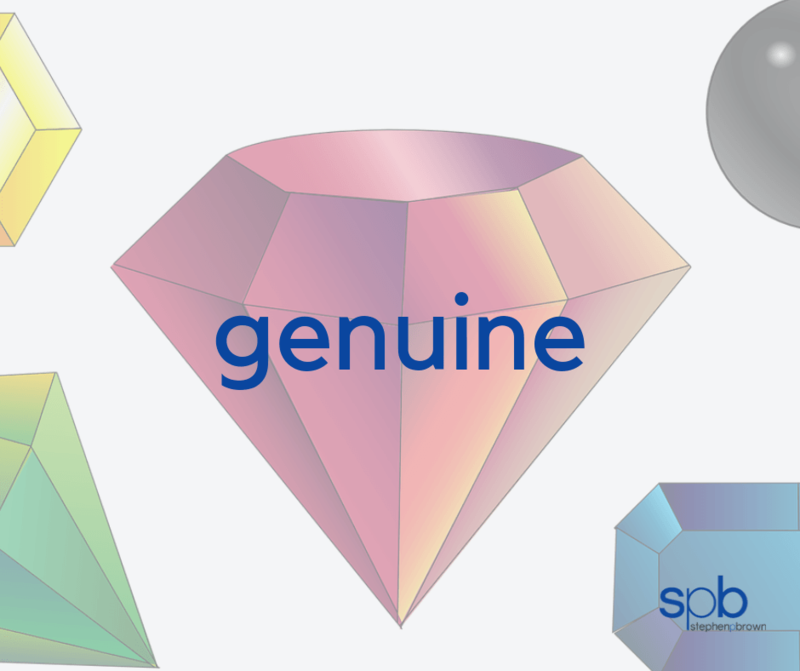 What does it mean to be genuine? Why is it important, and how can we cultivate it in our careers as classical musicians? Being genuine, at its most basic, means being real – sincere, truthful, acting without pretense. In a world where terms like “fake news” and “spin” are part of our everyday vocabulary, genuine people are a rare commodity. There is a lot of talk in personal development circles about authenticity – showing up in your life as the person you really are, not just who you think people want you to be. As children, we’re bombarded with the message to just be yourself, which, though solid advice, gives us the idea that there is one fundamental, unchanging self we are supposed to be. If we can just figure out who that person is, and what she’d do in any given situation, we’ll be set. Some people agonize over discovering this self, constantly second-guessing every decision, trying to get it right. Others latch on to a particular definition of themselves early on, shunning new information, and resisting ideas that might threaten their concept of who they are. But here’s the truth – as humans we are supposed to change. We are supposed to learn new things, change our minds, grow into ourselves day by day. If you are doing life right, the ideas you have today are different than those you had ten years ago. Some of your core beliefs may be the same – but, on the other hand, even those may change over time. Authenticity is about being true to yourself – your ever-changing self. It’s an inner journey. Being genuine, on the other hand, is about being truthful with others about who you are, what you think, and what you’re after. Being genuine does not mean operating with no filter. It doesn’t mean you say exactly what you think no matter the consequences. In fact, if you behave that way, the message you’ll be sending is that you are a genuine, authentic, arrogant jerk. Thankfully, you can be genuine without being honest-to-a-fault. We are all master manipulators. We don’t mean to be (well, some of us mean to be) and often don’t even realize what we are doing. Practicing genuineness means we have to consciously break out of this mindset. One of the easiest ways to do this is to look for opportunities to encourage other people. This shift helps move you out of the mindset of manipulation – it allows you to practice being real and genuine without pretense. If there is nothing to praise (there almost always is) just keep your mouth shut. Silence is genuine too. While you’re busy encouraging, make sure you aren’t slipping into schmoozing – trying to get something you want by flattery. That’s counterproductive! And not necessary. It’s possible to book a gig, negotiate payment, and handle all business dealings in a straightforward way. After all, people need the service you provide, and you need to be paid. Be upfront, be genuine and you’ll be amazed how many people will be eager to work with you. We humans are social creatures who crave connection and support. Of course, being human, we are also very prone to missteps, faux pas, and mistakes. Loyalty is the special sauce that fosters the connection we need and keeps people coming back even after we mess up. Loyalty is tethered to trust of the most personal kind. We are loyal to people we trust to do right by us. When someone we trust does something we consider out of character, or perhaps plain wrong, we have two immediate choices: we can decide our trust was misplaced and revoke it, or we can give that person the benefit of the doubt, and assume the intention was good even if the outcome was less than stellar. The second choice is the voice of loyalty. Loyalty gets a bad rap sometimes, especially these days when we read of powerful people demanding loyalty from others even when it isn’t deserved. But true loyalty can’t be demanded. You can’t guilt someone into being loyal. You can’t even buy real loyalty, all evidence to the contrary. That’s because loyalty isn’t transactional; it’s relational. Loyalty isn’t owed it’s earned. Here’s an example from the classical music world: Let’s say, as a young flutist you had one particular teacher who continually encouraged you and supported your ambitions. Perhaps she went out of her way to find opportunities for you to audition and perform. You knew she was on your side and doing everything in her power to help you be successful. One time, however, she recommended someone other than you for an opportunity you really wanted. You were deeply disappointed, but because of your long-standing relationship, you understood that she was likely looking out for your best interests. Over time, this proved to be the case. At some point, that same opportunity arrived again (opportunity DOES knock twice). Someone else handed it to you, and it was the turning point for your career. Now, years later, as a successful professional flutist, you have the opportunity to publically recognize one person who had a profound effect on your success. Who do you recognize? The person that said “Yes,” that one time, or the teacher who said, “No,” but grew you in so many other ways? If life and loyalty is a series of transactions, then you’d recognize the person that gave you that one shot. However, loyalty is about relationships and being faithful to the people that made it possible for you to take that shot when the time was right. 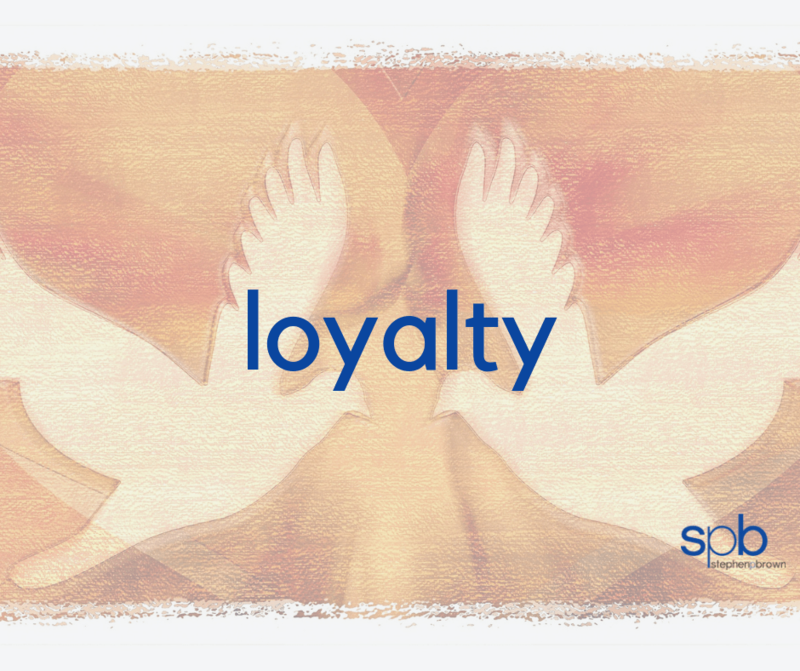 So, how do you inspire loyalty in others? How do you make sure audiences and venues keep coming back? You inspire loyalty in others by being loyal yourself. Make people feel valued, make them feel like they matter – because they DO. You must cherish your audience. Put a little of yourself in every email, every phone call, every bit of stage banter, and make sure you are communicating that you value the other person’s contribution, whether that’s attention, regard, applause, opportunity, or advice. Be on time. Every time. This may seem out of place in a conversation about loyalty, but few things go as far to show respect and value in the world of professional music as punctuality. Being late (or even making someone fear you are going to be late) tells the people you are performing for, or with, that your time is more valuable than theirs is. It shows that you do not actually value them or their priorities as much as you do your own. That does not inspire loyalty. Go out of your way to help people. Look for opportunities to support the success of others. In so much as you can, without overextending yourself, try to say “Yes.” And though loyalty is not a quid pro quo, if you say “Yes,” from a place of generosity and goodwill, you will find you will be the first phone call when the exciting opportunity you want to say “Yes” to appears. No one has a life or career free from disappointment and failure. The overnight success of any musician, like the overnight success of any person in any field, is really a long story of repeatedly rising after a fall. 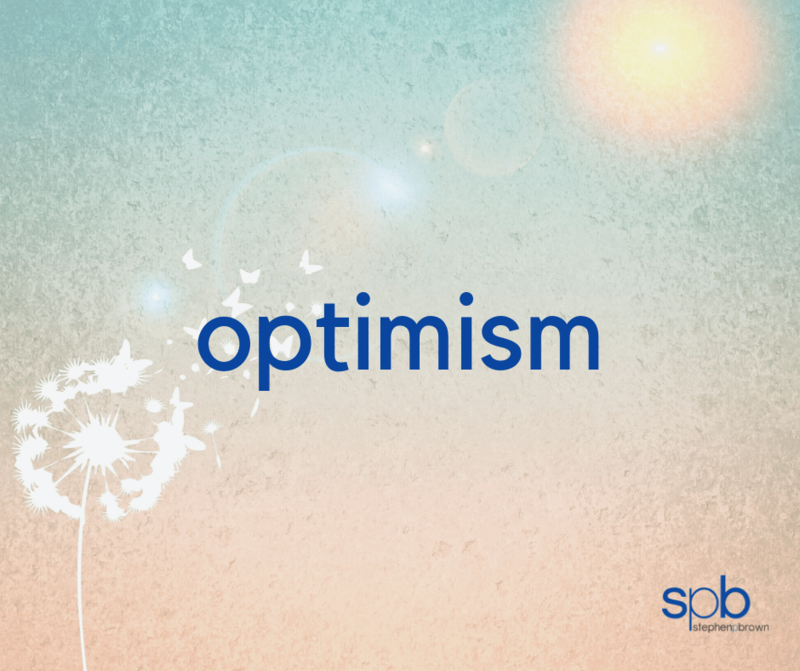 Optimism is hopefulness and confidence in a positive outcome. So, how can one be optimistic when something has gone wrong? Refusing to acknowledge the failure doesn’t help – that’s not optimism, that’s delusion. An optimist accepts the failure, but instead of being mired down in useless negative thinking – Things never work out; I knew I wouldn’t get it; I’ll never live this down – they look for the lesson. To be optimistic, you must view failure not as a dead end, but instead as a T in the road – a place where you decide which way to go next on your route to eventual success. Imagine we have two lab rats. One rat has always lived in a cozy little cage with a daily supply of cheese delivered directly to his bowl. The other rat has spent each day bumping into walls, turning around, trying to find a path to the cheese that is always hiding somewhere in the middle of an ever-changing maze. Which rat ends up better prepared to deal with challenges? If we ran those two rats through an obstacle course, which would be most likely to win? The one that hit the wall over and over again. Failure teaches adaptability and resourcefulness. Easy success, being able to reach out and grab your cheese, actually reduces your chances for long term success. Why? Because you’ve been deprived of the opportunity to strengthen your resilience. When something changes, and things always change, you have no muscles to meet the challenge. Adversity and failure are the barbells of growth. Optimists sweat and suffer through adversity like everyone else, but they recognize that the strength they are gaining is going to get them closer to their goal. Optimism is a mindset. Often, if you want to change your mindset, you have to change your environment. Humans are social creatures – we tend to adopt the thinking of the people around us. If your group believes that there is no work for classical musicians, you’re likely to believe that as well, and it becomes a self-fulfilling prophecy. After all, people who have no work have nothing to teach you about how to find it. If you believe that all the good gigs are taken, go hang out with people who took them. If you want to be successful, surround yourself with successful people. The beauty is that optimistic, successful people are much more fun to spend time with than negative nay-sayers anyway. Optimists foster hope. Their forward momentum inspires enthusiasm, and their energy attracts people, opportunities, and ultimately, success. So the next time something doesn’t go as planned, don’t be despondent. Look for the lesson, then rise, grow, and conquer. If you are ready to take your performing career to the next level, check out Concert University and the free webinar that gives you 5 strategies for success. If you would like to hear the live discussion about this characteristic, head on over to ClassicJabber.com now. If you are looking to grow your audience, Oprah Winfrey makes a pretty good role model. What has made her so incredibly popular for so long? It’s this: though we all know that she is one of the wealthiest, most influential people on the planet, she still manages to come across as down to earth. You are focused on building a profitable career as a performing musician, not a TV personality, but learning how to cultivate and project a down-to-earth attitude is a critical key to connecting with audiences, and gathering support. Flighty, head in the clouds, high and mighty, up on a pedestal – just like down-to-earth, these opposites conjure vivid images. A person who is down-to-earth is grounded in reality. She may have big dreams and extravagant goals, but she also has a solid understanding of her current situation. She knows her strengths and weakness and what kind of work is going to be required to reach those goals. She sets priorities, recognizing that there isn’t enough energy in the world to manifest every whim or idea. Her head may be touching the clouds, but her feet are planted firmly on the ground. A down-to-earth person doesn’t hold himself above others. No matter how successful, he doesn’t look down from on high, feeling entitled while oblivious to the people below. He’s right there on the ground, on equal footing with everyone else. That’s perfect because that’s where his audience is too. Down to earth people are attractive because they are relatable. They are relatable because they make an effort to understand what is important, interesting, and of value to others. The choices that they make and the things that they say are based on the circumstances and people that surround them. They define what they do in simple, concrete terms that show they understand the needs and interests of the people they’re talking to. For example, when convincing someone to hire them for a performance, they present reasons and benefits that matter to that person. A promoter may not care that fill-in-the-blank composer is the most undervalued of the Romantic period and you are one of the very few musicians who has mastered his most challenging piece. However, tell him that the end of the piece is so dramatic that audience members find themselves holding their breath on the edge of their seats, and you have his attention. As professional musicians, we know things about music and instruments that the average person has never even considered. Subtleties of sound stand out to us like black stripes on a white wall. 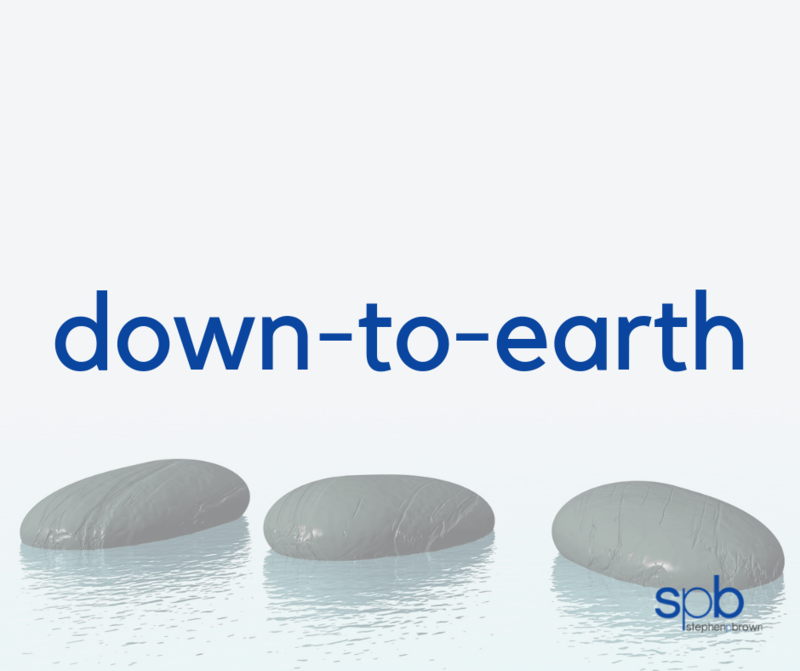 Being down to earth doesn’t require ignoring those subtleties, but it does require we look at them in context. You may be able to tell the difference between two instruments – you may know that one is significantly better than the other, but being practical means honestly assessing whether your audience can. If traveling with the superior instrument requires a great deal more hassle than traveling with the lesser one, and the difference in experience for the audience is negligible, the down to earth person packs the lesser instrument and is on her way. On the other hand, demanding that you be able to play only the very best, no matter the hassle, is not only impractical but also wildly arrogant. In essence, you are saying that what is important to you, because of your elevated status as an expert, is what is most important in the situation. That isn’t down to earth, that’s diva-esque. If Oprah can’t get away with it, neither can you. If you are committed to building a profitable, fulfilling career as a performing classical musician, learn the five strategies for success in Concert University’s FREE webinar. If you would like to hear a live discussion about this, and other Characteristics, please visit ClassicJabber.com. Self-respect, self-confidence, self-empowerment… we can’t have a conversation about success and fulfillment without tackling how we feel about ourselves. 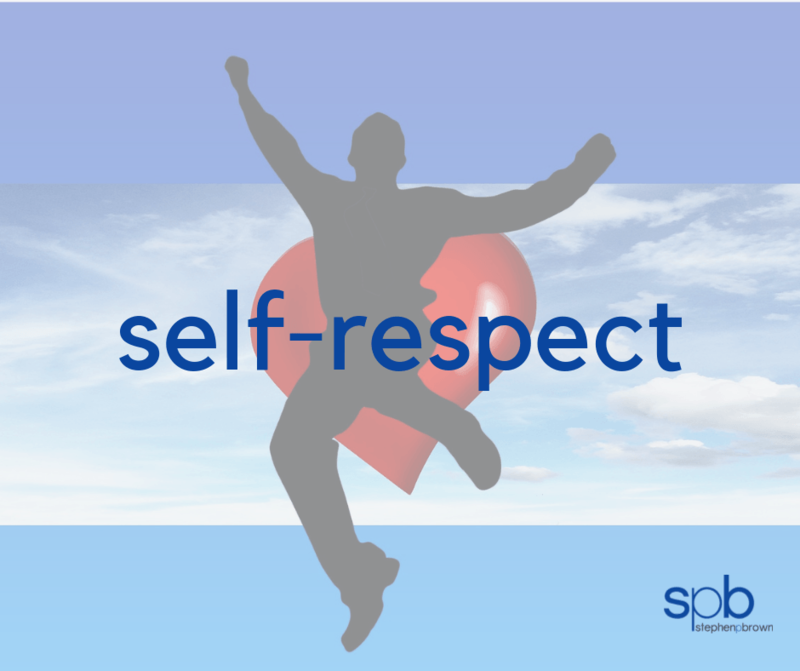 Self-respect is the foundation of all other positive feelings about the self and the antithesis of the one thing we know we should avoid – selfishness. Healthy self-respect is built on a few fundamental truths that should be obvious but can be remarkably hard for many people, particularly creative professionals, to embrace. You deserve to be treated well, to pursue, experience, and share happiness and success. Why? Because you ARE here. As a participant in this universe, those things are your birthright. We all love to be admired and respected by others. Praise feels good, criticism feels bad, even if we know deep down that it helps us grow. However, other people’s opinions are their business. Whether someone likes you, your music, or your performance, is entirely out of your hands. Praise (or disregard, ugh) does not change your inherent worth. Integrity and honesty are the nutrients required to grow and maintain healthy self-respect. 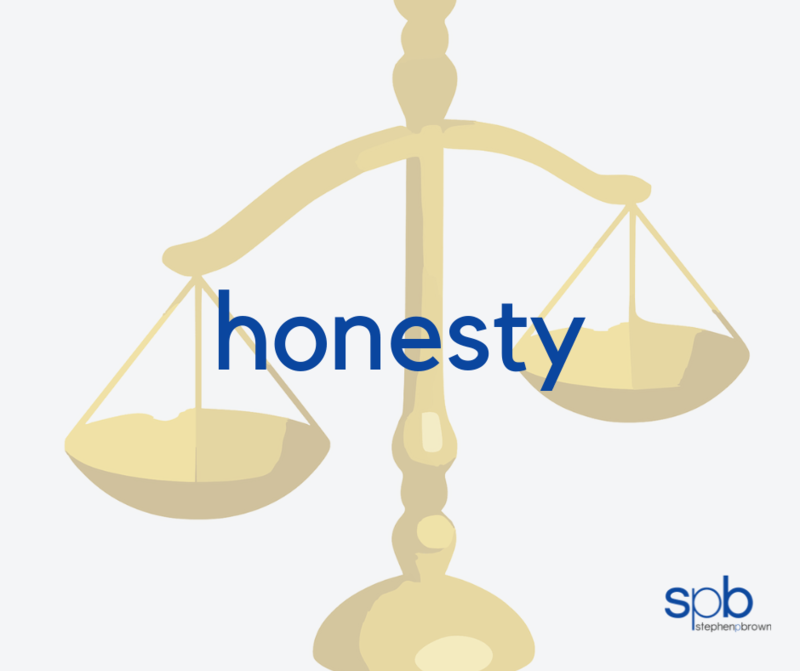 This requires not only being honest in your dealings with other people but also being honest with yourself. Self-honesty is where self-respect often comes up against two opposing (and equally damaging) obstacles. The first is believing that you are not talented enough, good enough, or unique enough, to have anything of worth to offer. The second is believing that you are the best. You are not the best. If you stand in front of a mirror every morning declaring, “I am the best (fill in the blank) ever!” you are kidding yourself. That isn’t self-respect. That is self-deception in the guise of self-adoration. There will always be people who are more “better” than you are. Even if there isn’t (and I promise there is), the world is just too big to make sure. You can’t be certain. You know it, and that doubt eats away at self-respect. So, you aren’t the best. That’s great news! That means you can continue to grow and improve. Everything we do, every person we meet, and circumstance we encounter changes us. Even the cells in our bodies are completely replaced every few years. Change and growth are critical to life. As you pursue and achieve your goals, you are continually changing. Achieving success is wonderful, but it isn’t the most important thing. The most important thing is who you have become along the way. Become a person who strives to gratefully enrich the lives of others. A person who embraces his own worth and the inherent worth of every other human being. A person who uses her talents to improve the world in whatever way possible. Live to be a person like that, and you will be and feel worthy of anyone’s respect – particularly your own. There are specific personality characteristics that everyone finds attractive. Business publications aimed at fostering success and leadership in the corporate world are fond of publishing lists of these traits, and no matter the source (Forbes, Business Insider, Entrepreneur, Inc.) these same qualities appear again and again. Among the list is inevitably a variation on compassionate / warm / empathetic. Regardless of the word chosen, these are all just synonyms for loving. Though loving may seem a strange choice for a business publication, it’s truly the best description, and just perfect for the world of professional musicians. This time of year, we’re likely to associate loving with red hearts, sentimental cards, and candlelit dinners, all kinds of emotional or romantic trappings that are entirely out of place in a professional environment – regardless of the profession. However, as Scott Peck reminds us in The Road Less Traveled, love is a verb. To love is to put someone else’s wellbeing at the forefront of your attention. In short, it’s the antithesis of being self-centered. 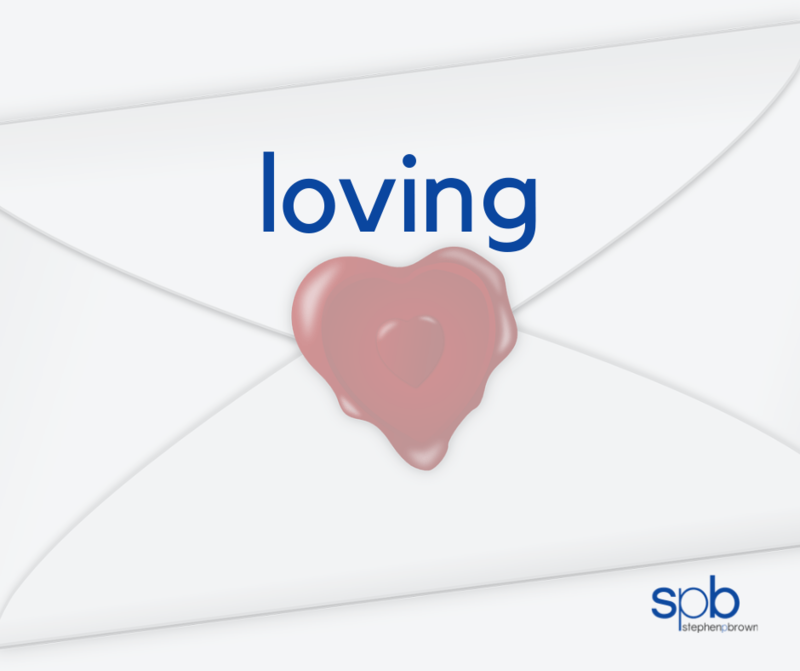 So, how do we express a loving nature in a professional context? There are a multitude of opportunities that can be boiled down to two categories: loving actions and a loving mindset. Loving actions include anything you can actually DO to let other people know that they are important. Great examples include forwarding an article that would be of interest, publically acknowledging someone’s accomplishment or accolades, sending a quick email to check in, or even a handwritten, “Thinking of you,” note. Keeping track of birthdays (social media makes this easy) and taking a moment to send a genuine non-generic message of celebration is always appropriate. A loving mindset is obviously a bit more vague and hard to quantify, but equally important. A loving mindset is tied, as nearly all of these attractive characteristics are, to the why behind what you do. It is one thing to be good at your craft, to be a competent, even excellent performing musician. However, if you are dedicated to being the best performer you can be so that you can gather accolades and admiration, you’re approaching it from a self-centered, ego-centric space. Your audience may not be able to name that, but they can feel it. However, if you are dedicated to something bigger than success and fame, if your why involves making the world a better place, enriching the life of just one person through your music, that will radiate from you – the people you perform for, and with, will feel that too. In today’s society, showing genuine consideration for other people is an amazing thing. Small acts and invisible shifts in priorities make a tremendous difference in how other people feel. Feeling valued and cared about is addictive – give that to the people around you, and you will be irresistible. If you are committed to building a profitable, fulfilling career as a performing classical musician, learn the five strategies for success in Concert University’s FREE webinar. If you would like to hear the live discussion about this characteristic, please head on over to ClassicJabber.com now. There’s a lot of talk these days about how dishonest our culture has become. People bandy about terms like fake news, spin, alternative facts. On a bad day, it can seem like people are willing to lie to anyone, about anything, just to gain some advantage. So, it’s no wonder that honesty is at such a premium. We’re all desperate for a little real talk, and we’re attracted to others who seem willing to cut through the crap and present the truth. But before we can be honest with others, we must be willing to be honest with ourselves – and that can be harder than it seems. Typically, when we say things like, “He’s living in a dream world,” or “She’s out of touch with reality,” what we’re really saying is that someone has deluded themselves into expecting the unreasonable, or believes that they are better, more successful, more important, than they really are. However, the opposite tends to hold true for classical musicians. Many of us do live in a dream world, many of us are out of touch with reality – but the reality that we’re missing is how valuable our expertise actually is. After years spent listening to expert teachers pick apart everything we do in order to help us improve, we’ve come to believe that this is how others experience our performance. We imagine a room full of people waiting for us to trip up, and then judging us harshly if we do. We forget that music is the language of emotion and that we are not only fluent at speaking it, but we are very likely the only expert in the room. Very rarely do we lie to ourselves by saying that we performed flawlessly; we tend to be brutally honest about our mistakes but we constantly lie about our victories. We disregard them; we undervalue them; sometimes we deny them entirely. This is the most dangerous kind of self-deceit. As classical musicians, we are all passionate about classical music, about getting it back into the real world and using this language to communicate with people. Music helps people deal with challenges and emotions that they may not have realized they need to face. Your job as a professional musician is to make the world a better place by connecting with people using the language of music. That’s it. Not to play every note perfectly. Not to be lauded as the very best [insert your instrument here] there has ever been. To connect. To communicate. To improve. This is your mission. How can you do that if you are lying to yourself about your abilities? You can’t. You’re too busy being self-protective and afraid of being found out. You’ve built a wall around yourself with a million tiny self-doubts and boulders of unworthiness – a wall of lies. We’ve become so conditioned to look for the bad and assume the worst that it can take some effort to learn to recognize everything we’re doing well and all we accomplish on a daily, even hourly basis. Set a timer for an hour. At the end of that hour write down everything that went well. Not just everything that went well musically, but every little detail. Did you drink water without spilling it all over the floor? Write it down. Get through a measure without a massive mistake? Write it down. Learn to recognize what you do accomplish, not just where you slip. There are a lot of people who cannot do what you do, not only musically, but in everyday life. Chances are you have a lot of things worth celebrating. Being realistic requires not only being honest about our opportunities for improvement but also our abilities. If you’re interested in digging deeper into how to create a profitable and rewarding career as a performing classical musician, check out my free webinar on Concert University. 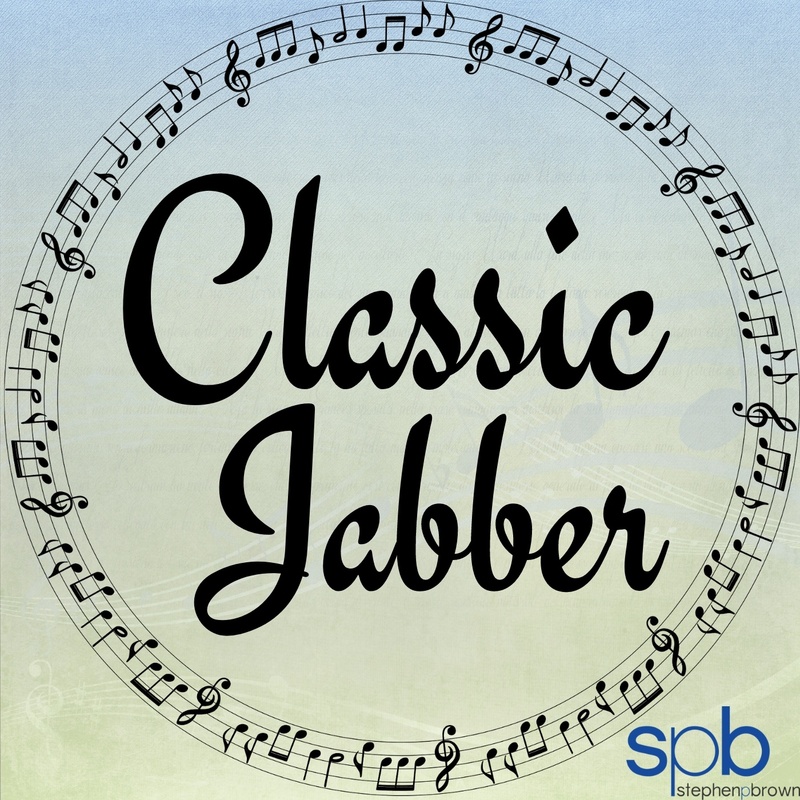 If you would like to hear the live discussion about this characteristic, head on over to ClassicJabber.com to listen now.